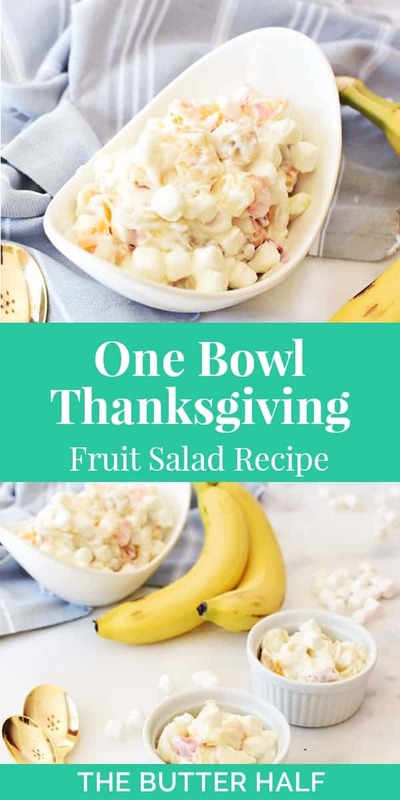 Your Turkey Day isn’t complete without a traditional fruity dish of some sort, and this one bowl Thanksgiving fruit salad recipe is a wonderfully simple and tasty dish you must make. It takes only 10 minutes to whip up, and requires one bowl. 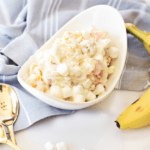 As a little girl, it was my job to help whip the heavy cream and pour the fruit in the bowl. I remember watching the heavy cream turn from a milky liquid into beautiful, stiff peaks. If you do make this Thanksgiving fruit salad recipe this year, be sure it’s the last dish you make. 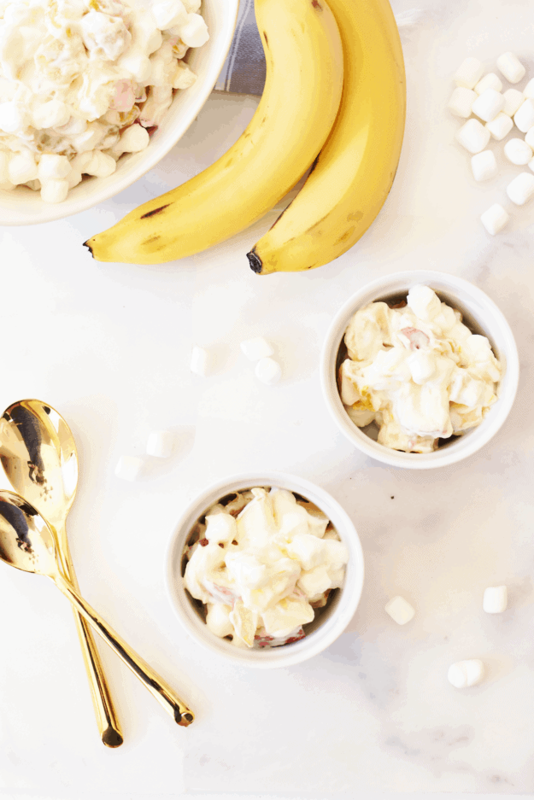 You want the bananas and apples to look fresh and ripe—squeeze a tiny dash of lemon juice onto the fruit before mixing it into the bowl. P.S. 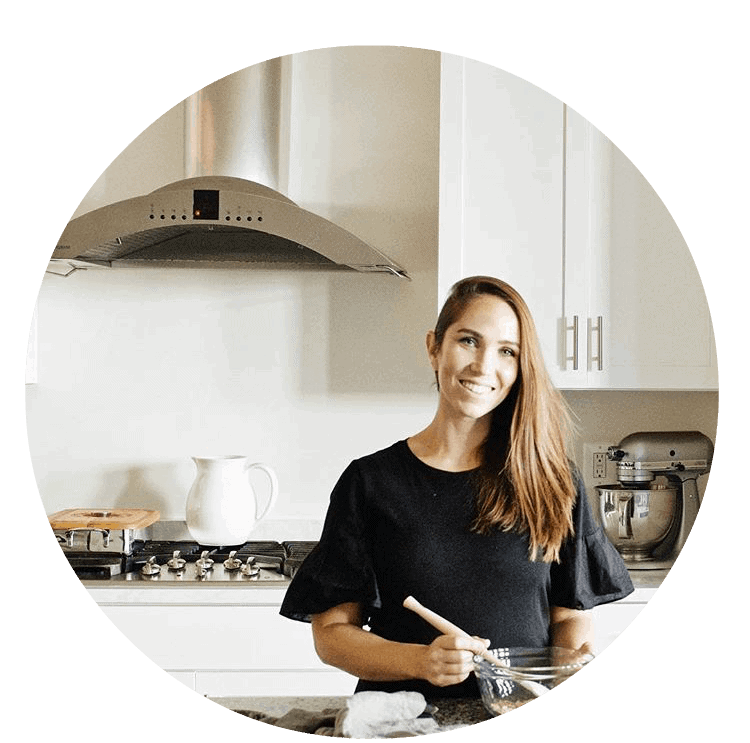 Check out all of my Thanksgiving recipes here, and stay tuned for more recipes this week! 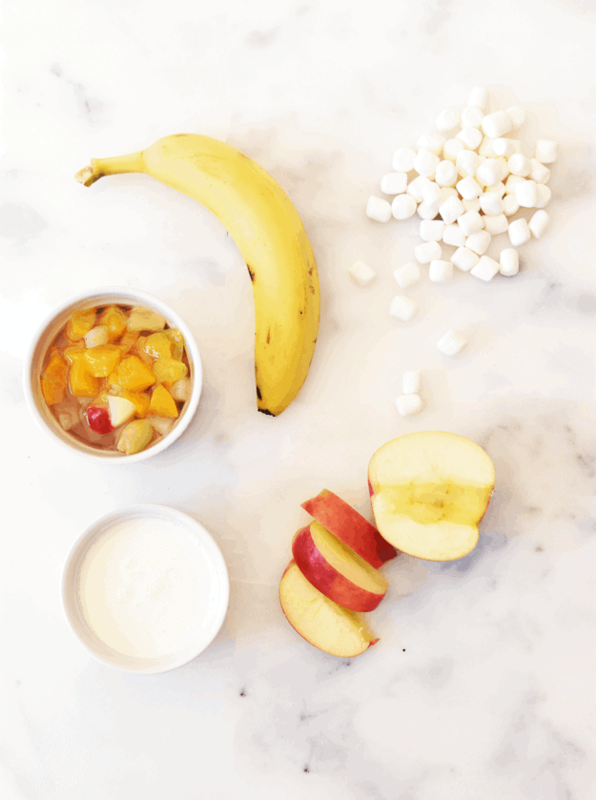 Make this easy, one bowl Thanksgiving fruit salad recipe. It will be a family favorite for years to come. Pour the heavy whipping cream in the bowl of a stand mixer with the whisk attachment fitted. Whip on medium speed for about 3 minutes until stiff peaks form. Add in the vanilla extract and sugar, and mix well. Chop and slice the apples and bananas, and place in a medium serving bowl. Drain the can of fruit cocktail, and pour in the fruit. 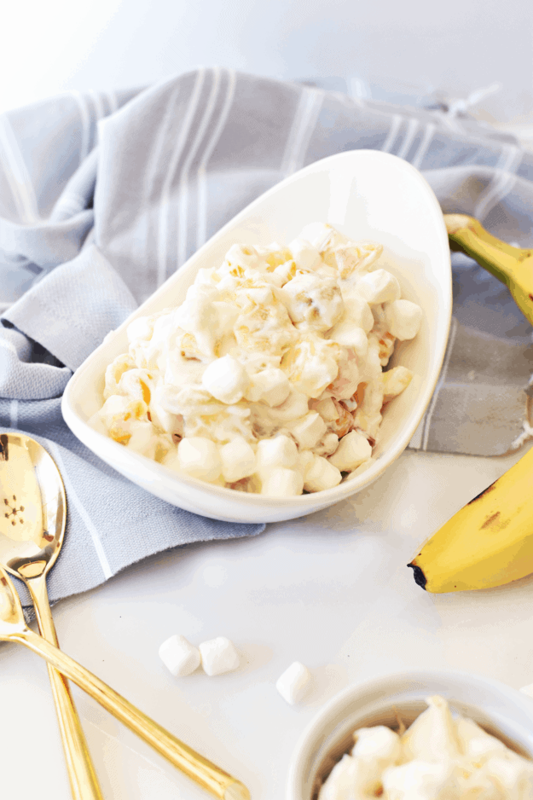 Add in the whipped cream and marshmallows, and mix well with a spoon. Serve immediately, or cover and let chill in the refrigerator. Keeps for up to 3 days. Enjoy!